Looking for some new non-fiction reads? Expand your brain with these 5 new titles that are just hitting your library shelves. There’s animals, history and bad guys in the mix – something for everyone! Descend into the vast, hidden depths of earth’s oceans and discover an amazing world in this stunning visual encyclopaedia. The Celts were fearsome warriors, but they also developed trade routes across Europe and made beautiful jewellery. Find out about Celtic tribes, how Boudicca rebelled against the Romans, and how the Celts celebrated with feasts and festivals. Does a Seal Smile? explores the meanings of body and facial expressions in wild animals and people. A funny, kid-like question (“Does a coyote smile?”) is shown with a realistic scenario (coyote howling), and thoughts/facts about how animals express themselves. Prepare for something… horrible. New to the Horrible Histories series, this book will introduce you to 50 of the most vilest villains imaginable. From gangs of gangsters to maniacs who massacre, come face to face with the biggest baddies in history. Arts and craft, and the ability to create your own personal zoo. Zoo Animals, makes all this possible. This book shows you how to craft all kinds of zoo creatures and has bucket loads of extraordinary facts about them as well. It was cool. I learned so much. My favorite charector is Philip the made up slave of Callimachus. My favorite part was when they saw the sun god Helios and the olympics god King Zeus.They stayed there for some time and studied the statues. 4 new children’s non fiction that will blow your mind! Diary of a Time Traveller. Join Augustus on his global adventure back in time and meet hundreds of history’s most interesting characters, including Einstein, Columbus and the young Mozart. Packed with interesting facts, awesome illustrations and even a timeline of events, this diary makes a million years of history accessible at a glance. Author, actor, comedian, charity fundraiser, TV talent show judge – David Walliams ticks all the boxes! Now you can read his biography, and discover some of his greatest achievements, how he began his comic career, where he finds his inspiration for his hilarious children’s books and the enormous amount of work he does for charity. The Best (& Worst) jobs in Ancient Rome. Here is your chance to explore the job market in Ancient Rome. Discover which jobs brought wealth and glory and which were dirty, smelly and dangerous. Ripley’s Believe it or not! : eye-popping oddities. Brace yourself for some eye-popping oddities. There is an all new Ripley’s believe it or not and it is jam packed with even more odd and bizarre things you never thought was possible such as a man pulling a track with his nose, a woman marrying a Ferris wheel, cow farts blowing up building and many more crazy stories! Proceed with caution when you read, it’s earth shattering! Master the art of chess by reading this book and learn vital skills and a few key endgame techniques will dramatically increase your confidence, as you will understand what positions to aim for and which to avoid. Contains thousands of records that span every field of human and non-human endeavors, including science and technology, animals, sports, geography, arts and entertainment, education, hobbies and pastimes, unusual rituals, and many others. Guinness World Records 2015 is crammed with new and updated records, and never-before-seen photography. LEGO minifigure year by year : a visual history. Check out this amazing book jam packed full of visual history, fantastic photographs and profiles of more than 2,000 minifigures and other Lego characters. Welcome to the museum! Here you will find a collection of objects from ancient civilisations. Objects of beauty, functionality, war, life, death and burial. As you wander from room to room, explore the magnificence of what civilisations have left behind over thousands of years of human history! Great for ages 8 to 12 years old. Neil Armstrong and travelling to the moon. Fly to the moon and back with Neil Armstrong and travelling to the moon. Read all about hoe Armstrong trained for his mission, what he found on the moon and what astronauts eat in space. Feel like a change from Guinness World Records or Ripley’s believe it or not, then check this exciting book that describes some of the craziest, silliest, and most extraordinary records achieved by people around the world. 6 new non fiction: Buzzing bios, Cooking Madness and the mysterious world of the greeks and… an egg. Nelson Mandela : it always seems impossible until it’s done. Read the incredible story of Nelson Mandela, a remarkable man that would fight against discrimination, his country’s cruel system of apartheid and eventually become president of his country. A great resource to use for anyone studying Nelson Mandela and apartheid. This book tells the story of the shipwreck of the Endurance in a sea of ice en route to Antarctica, and the survival of all 28 members of the Imperial Trans-Antarctic Expedition, led by Sir Ernest Shackleton. Yummy, yummy, yummy and just in time for the winter season. This book features over 150 delicious recipes to get you and your kids in the kitchen. From eggy bread to sunflower loaves, lamb hotpot to ice cream, there’s a scrumptious recipe for every occasion in the Complete Children’s Cookbook. One word to describe this book, YUM! Gods and Goddesses of Ancient Greece. This book serves as a wonderful introduction to the world of gods and goddesses of the Olympians. From Zeus to Athena, read about the family of gods and goddesses that the ancient Greeks believed watched over them. The Olympics of ancient Greece. Read this book and learn all about the athletes, competitions, and religious ceremonies of the ancient Olympics. Great for a younger audience. Egg : nature’s perfect package. Explore how a simple, often colorful, sometimes surprisingly shaped package, reveals nature’s life cycle, unusual animal defensive strategies, parenting behaviour, evolution, and more, in this beautifully illustrated non-fiction picture book. Overall this is a fantastic book that gives you insight into the remarkable and mysterious world what really goes on inside an egg and what fantastic animals emerge from eggs. New Non Fiction for the new year. Welcome to Animalium. The book or museum as they call it is open all hours. This book is amazing because it houses an astonishing collection of more than 160 animals for visitors of all ages. The sky’s the limit when it comes to information about animals. You will also learn how animals have evolved, see inside the dissection laboratory, and discover the amazing variety of habitats on Earth. One book you definitely must read! Ever wondered why animals look the way they do? This book explains why. Packed with many cool facts and visuals on where certain animals live and what they eat, this book captures twenty five humorous and very true explanations of why animals look the way they do in order to exist in this world. Another awesome read! Looking to unleash your inner magician? This book will help you in achieving that goal. Children‘s book of magic will help you learn the secret of magic and put on your own astounding magic show with these 20 step-by-step magic tricks to try at home. In addition, you will also learn about the history of magic from ancient Egypt to the present day exploring the secrets behind some of the greatest magicians from Harry Houdini to Albertus Magnus. From coin tricks to sleight of hand The Children’s Book of Magic explains the best magic tricks for kids through engaging step-by-step sequences helping you master the perfect trick. Hopefully many of you know the story of Little Red Riding Hood, the story where you to learn valuable lessons about trusting sweet-talk and talking to strangers in her treak across the woods. However I don’t think you have had the privilege and the pleasure of checking out this new edition, translated by Anthea Bell and illustrated by Sybille Schenker. This book is in a word, beautiful! Complete with intricate die cuts, patterned prints, bold lines and basic colors to create a haunting journey through the familiar Grimms tale, the combination of Schenker’s illustrations/design and Bell’s graceful translation simply takes my breath away. Check this amazing series that will take you into the past and learn anything and everything you have always wanted to know about the Ancient Romans, Ancient Greeks and Medieval Folk. 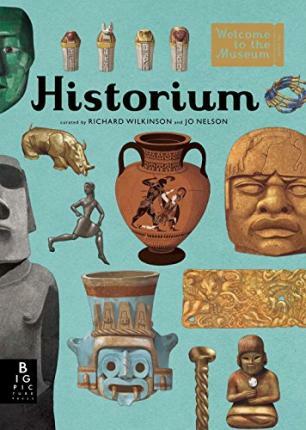 Ideal books to use for history projects and great for ages 8 years and over. New Non Fiction: The Ancient world and toilet humour. You Can Get Sucked Down An Aeroplane Loo! If you like Ripley’s Believe it or not, then you will love this book. You Can Get Sucked Down An Aeroplane Loo! will allow you to explore the greatest urban myths, legends and tales of all time and will fill you in once for all whether they are true or false. In other words, this is the book that will teach you how NOT to be a sucker. Overall I enjoyed this book, which was a barrel of laughs. I don’t think you will be surprised of shocked over which blunders are false, however I think the ones that are true will surprise you. Feel like a trip to the Ancient world? Be rest assured that you don’t have to call on Doctor Who to make sure the trip is possible when you have these awesome books right here. Usborne books have done it again with the Visitor’s Guide to Ancient Egypt and Ancient Rome, that is packed with essential time tourist tips on anything and everything you need to know about the Ancient world. Ancient Egypt covers a wide range of information on how to behave at an Egyptian party and how to make a mummy, while Ancient Rome advises you one what to eat, where to go and how to come back on one piece. Why not check out this awesome handbook The Usborne Official Roman Soldiers Handbook, that provides all the helpful hints and tips on how to survive in Ancient Rome… and if you join the Roman Army. This book also reveals all the gruesome truths of life in the Roman army including what soldiers ate, what they wore and how they lived. Overall I think this book is an excellent read. I feel the witty illustrations complement the text which creates a friendly and accessible introduction to Roman history. These books from Usborne series are ideal for anyone who is a fan of the Horrible Histories series and has a keen fascination for history. Looking for a joke book that is not going to bore you with endless knock, knock jokes? Look no further. This book presents a variety of jokes and facts, including knock-knocks, tongue twisters, riddles, silly animal photos and traditional question and answer jokes. Overall, I think it’s a fantastic book. Loved the jokes. I even managed to have a go at the tongue twisters, some easy, others take a lot of concentration. New Non Fiction: Prepare to go Bear Crazy, “When in Rome, do as the Romans do” and brace yourself because the Doctor is in! Boys and Girls, brace yourself because Wellington City Libraries two new Junior Non Fiction Books on Doctor Who and just in time… before the school holidays. Doctor Who: Essential Guide to 50 Years of Doctor Who. By reading this book, you learn all the fascinating facts on all eleven incarnations of the Doctor’s adventures in space and time, as well as his helpful companions and fearsome foes. Find out all about the Doctor’s TARDIS, his regenerations, and much, much more! Overall a great book that many fans of the series would enjoy, however might be suitable for ages 10 and up. If this book interests you, you might also want to check out Doctor Who: The Official Doctionary. Doctor Who: The Visual Dictionary. This book presents an introduction to the popular science fiction television program, dsicussing its characters, plot lines, villains, gadgets, monsters, aliens, weaponry, and spaceships. Overall not a bad read. The style and presentation of this book is similar to Star Wars visual dictionaries. Another book that will be enjoyed by Doctor Who fans. If this book interests you, you might also want to check out Lego Star Wars: The Visual Dictionary. The RSPCA or the Royal Society for the prevention of Cruelty to Animals in the United Kingdom has published two new books on animal care. Overall I think these pet guides are fantastic. Would be ideal for children 9 years and over. Contains lots of information on how to care for rabbits/cats, helping it settle in, types of of behavior to grooming, playing, popular names for rabbits/cats, and going to the vet. Also contains some history of The RSPCA in the United Kingdom. You also might want to check out Looking after Cats and Kittens and Looking after Rabbits. FACT ABOUT CATS: While chocolate is bad for a cat, yogurt makes a tasty treat. According to Pet Smart NZ, the organisms in yogurt can be especially helpful when your pet is on antibiotics since these medications can alter the “good’ bacteria in the intestines. Most pets will enjoy the addition of a tablespoons of yogurt to their food. FACT ABOUT RABBITS: Pet rabbits are related to the wild rabbits, hares and pikas. Hares are bigger than rabbits, with longer ears and stronger legs which enables them to run very fast, while pikas are smaller than rabbits and live in North America and Asia. Kali’s Story: An Orphaned Polar Bear Rescue. Brace yourself for cuteness and… an orphaned polar bear. This book tells the story of orphaned polar bear Kali (pronounced Cully) as he is rescued and whisked away to the Inupiat village of Kali (Point Lay in English), then being raised and reared at the Alaska Zoo in Anchorage, with zookeepers filling in for his mother and finally finding a permanent home at the Buffalo Zoo with, Luna, a female polar bear as a companion. Overall I enjoyed this book. Absolutely loved the photographs that chronicles Kali’s infant hood. I reckon this is a book that will be thoroughly enjoyed by all age groups and a fantastic addition to the junior non fiction collection just in time for the school holidays. You will also like Vicks: The Polar Bear Cub and My Polar Animals Journal : In Search of Polar Bears, Penguins, Whales and Seals. FACT ABOUT POLAR BEARS: Male polar bears pee down, while female polar bears pee straight behind them. Wild about bears? You will be after reading this book. This book contains facts and pictures of eight different bear species, ranging from polar bears, sun bears and sloth bears. You will learn everything there is to know about bears, including information about their traits, characteristics and habitat. Brutal Games! History’s most dangerous sports. Forget sports like Rugby, Gymnastics and Horse riding, this book on history’s most dangerous sports takes words like ‘dangerous’, ‘extreme sports’ and ‘life and death situations’ to a whole new level. After reading this book, two words come to mind: adrenaline rush. Facts about bull riding, cave diving, jousting and gladiator games, you will have all the information you need to release your inner daredevil. If you like the Horrible Histories and Weird World of Wonders series, you might want to give these two new series a go. To kick things off, Check out Ancient Rome and Ancient Greece, which is part of Hard Nuts of History series. Read all about history’s hardest hard nuts. Who were the most famous (and not so famous) ruthless, brave, fearless and intrepid men and women of all time? Could you fight in the greatest battle ever, or wow the whole world with your brain power? These awesome books are bursting with remarkable tales of triumph and bravery. You will be amazed and astounded by some of history’s hardest heroes. The books have a similar tone as Horrible Histories and Weird World of Wonders series, comes complete with the silly bits, but perhaps without the gory bits. There is a lot less pages and the text is more simplified, so I think this series will appeal to younger audiences. What They Don’t Tell You About…. In the ‘What They Don’t Tell You About….’ series by Bob Fowke, there are books on Romans in Britain, Ancient Greeks and Vikings. If you are looking for another series to read after Horrible Histories, I would recommend the ”What They Don’t Tell You About….’ series. There is a lot of history, gory bits, silly humor and the odd puzzle in these books, so prepare for lots of reading… and laughing! Definitely no boring bits in this series. Great for anyone who is a fan of Horrible Histories and Weird World of Wonders. Also great for anyone who likes/is interested in History, comics, puzzle books and silly humor.